Sisense is an end-to-end business analytics software that enables users to easily prepare and analyze complex data, covering the full scope of analysis from data integration to visualization. "Innovative successful tool, incredible user experience and amazing people"
Ease of use both in development back and front end. Sisense is a growing company and being among their journey since 2015 is a great honor. Teams are responding and really kind. Onboarding was a never seen in my past BI experience. Besides development, new release and features are always very impressive and facilitate your daily basis work. so many possibilities that I may propose too much visualizations to my users and they can get lost. But only users that are not agile with data. Need to stay tuned all the time and I also would like to see some plugins considered as add-on so I ensure the tool can deal with those great community features in a near future. Just go for it ! A lot ! Not only time saving but also revenue optimizer. Every single department of my organization is now taking decision thanks to the tool due to the ease to implement multiple data sources. We optimize our revenue owing to it and we are now considering selling the solution to our B2B customers. The partnership with sisense is growing such as our companies and we're very flattered to be among their journey for such a long time. "Makes Business Intelligence and analytics accessible for everyone"
Really easy to use. We've been using SiSense for a few years and even without any particularly technical people involved at our end we find it straightforward to create a variety of powerful reports that fuse together data from a number of different sources to give us really useful insights that we wouldn't be to be able to get using other tools. Managing data and building dashboards is intuitive and feature-rich, and the data security features are incredibly useful for making sure end users are seeing the data they should be seeing (and sometimes more importantly, not seeing the data that they shouldn't!). Customer support are incredibly responsive and helpful and there is a huge amount of support material available online. On the (rare) occasions when there are problems, the error messages are often unhelpful. They're either too vague and we don't know where to start looking or so specific and technical that they might as well be in Greek. This is somewhat mitigated by the quality of the Customer Support who usually solve these problems for us promptly, but there have been times when we could have solved it ourselves if the error message had been more understandable. There is a mobile app, which does work as described but the experience is often unsatisfying and could definitely be improved. Use the support material. There is a real wealth of information in the tutorials, webinars and the community forums. Spending time on planning during (or even before) the implementation stage can save a lot of time later, particularly with the data models. "Very easy for non-technical users"
Easy to release new dashboards & widgets into the wild with little heartburn that users won't know how to navigate the data. Once established the look/ feel is controlled so they can't hurt themselves by adding in data that could cause adverse conditions. Some of the formulas are a bit complex to use in what would otherwise be easy in SQL. In order to query the data and be able to support basically any combination of joins and aggregates, they tend to make overly complicated queries to send to their query processor. It would be nice if they could give advanced users the ability to write SQL directly that affects on screen widgets within the dashboards themselves. Support is excellent. Generally respond within one business day to most issues. If they can't help you via email, then a goto will be available for them to help debug your issue. We have used the support a number of times and there has only been one issue that wasn't resolvable. Able to trace down issues with our product delivery that would otherwise take a number of different reports that would have to be maintained by very technical personnel. We can create some simple indicators with pop-up detail tables that allow our users more autonomy that is available through a standard reporting server. "Great Product for Business Insight and Intelligence - A Business Savior. " Dashboards and Multiple data source. Filters - 2 Level of filters. This is good have. The ways of data display being done. Searching the EC tables are great. Custom tables can be easily created. Sisense server frequent upgrades with new features, still less investment in enhancing reported problems in older versions. Mapping in EC Visualization. Rebuild of EC to view table data while it is already connected to DB. Scrolling issues EC interfaces. No Auto save is not good, should be there. IF we forgot to save the whole work will go in vein. The windows server uses lot of resources and performance is it slow. We are expecting to check the Linux version soon. Hope it will solve out problem. The Custom Widget Implementation should be enhanced to be used as directives in JS Frameworks easily. This will same loads of time. If it supports to extend custom SASS capabilities will be awesome to give look as desired in any dashboards we build. Notifications and Exports of dashboards in PDF can we enhanced well. Currently, the whole graphs goes off while once trying to export the multiple graphs dashboards. We can do multiple things around this features. Unified dashboards for projects being done. Major benefits is in highlighting the works delays, progress, not started status in real time. We can easily mitigate the risks of projects being done at real time. We were able to build and deploy a sophisticated Ad Tech BI platform within a few weeks. I love the web-based tools that allow you to perform most tasks without ever having to install any client-side software. Nothing to dislike really just looking forward to more features and functionality. As an embedded platform for analytics, it is top notch. I recommend this platform for standalone use as well given its ease of use and web-centric design you get up and running quickly. The support team is great to work with and very professional. We have been able to extend the platform by implementing our own custom visualization plugins creating a very custom appearance to our implementations. Being able to visualize the Ad and audience data on a single dashboard was very powerful and definitely contributed to the overall company perception. We were able to communicate complicated relationships between data sets visually and easily. "A Powerful and Innovative Business Intelligence Tool"
The user interface is something our clients really appreciate. It is easy to use, and even the less technical team members at my company are able to create different widgets with ease. Additionally, the embedded analytics offerings are an added benefit, and have certainly become increasingly interesting to our clients. PDF printing is usually formatted incorrectly, which typically limits our use of the feature. Additionally, expanded capability for the web-based Elasticube would be helpful. Attend the annual conference and watch the webinars/read support content to get the full use of the platform. Sisense has been able to condense a number of our client's daily, weekly, monthly and quarterly reports into a single dashboard with only a handful of widgets. The ability to drill dynamically into a visualization makes it easy to answer many business questions with only 1 widget. We chose Sisense in order to have a simple way to present information to our clients that didn't require any one on our team to become a full-time IT operative. We created a straight forward dashboard that met our needs but, when we were ready to make it more sophisticated, it only took some plugins (from the Sisense library) and some help with SQL script. Just as important as ease of use, the key to any dashboards success is organization. It's worth the time to take advantage of the Sisense planning documents and goal setting process. This is something to be aware of because some providers expect you to handle all planning and then teach mechanics only. "Visually Appealing, Fast, and Intuitive"
Sisense is a great choice for organizations that want to manage data models centrally and perform all modeling and dashboard development in a web-based environment. Sisense dashboards are very fast and the experience for "view only" users is very intuitive. I find it to be the most visually appealing option among the top modern BI visualization platforms. The drill-down functionality is far better than the competition. Sisense is being used as our primary data visualization tool throughout the company. We implemented Sisense in parallel with a new Data Warehouse to create a single source of truth for all departments and eliminate costly and error-prone manual reporting efforts. It has created efficiencies in the reporting processes throughout the company, exposed data quality issues, and provided actionable insights that should lead to increased revenue. "Very good product, getting better all the time!" There are a LOT of powerful-yet-easy-to-use charts & other presentation tools, that can be used to build a Dashboard in a very short time, with minimal expertise. In addition to the mostly pre-formatted graphic 'widgets', they offer multiple APIs for customization and integration, which require a lot more time & effort, but recent videos & webinars are helping ease the 'learning curve' on that as well. The wide range of connectors and modeling dynamics available in their ElastiCube design help ensure that the fullest access methods/modes and most elegant structural designs can be applied to the supporting data. And their ever-growing list of supported 'add-ons' and 'plug-ins', coupled with their strong technical support and very 'active' customer management style, guarantees the greatest probability of success. Their overall website design, & specifically support ticket interface, is somewhat less-than-intuitive at times, but they do 'welcome' feedback (even if response/resolution time is a little disappointing). Take utmost advantage of as many current webinars as possible, as they offer latest/greatest info on capabilities & changes, and allow you the opportunity to ask specific questions of the company's best experts & 'insiders'. Also, try to fully utilize the requirements analysis tools (documents & techniques) provided by the Customer Success Manager (CSM) and make the most of your interactions with them and any technicians with whom you're placed in contact. Sisense is helping us gain a better understanding of the data we have to work with. This includes discovering previously-unknown correlations or disparities, as well as data entry &/or quality shortfalls. The insights into trends and real-time status monitoring and notification tools are raising management awareness and moving us closer to a proactive vs. reactive posture. "Sisense puts data science in your hands... What you do with it is up to you"
All of the tools are there to adequately design a serviceable Data model for reporting against. There is enough ETL capability to hack it all together and provide the front end with what it needs to display data accurately. Sisense allows us to produce good looking accurate reports out of multiple legacy systems which was previously only possible via intensive manual processes. It makes the analysis of or data possible across many dimensions nearly instant (after proper modeling). It also allows us to construct a single source of truth which is desperately needed due to poor data governance across several redundant data entry systems. We love the ease and flexibility with elasticubes, it makes the analytics team much more responsive. Given the wide array of data we support, it's made it much easier for us to respond to and customize business needs. We'd like to more easily enhance or customize our UI. Some basic thinks like wider scroll bars, more obvious drawer pulls will make it much easier for our end-users to access filters, scroll across wider pivot tables. etc. Providing visibility across the business to multiple stakeholders. Everyone from Sales, to Marketing to our franchisees now have the ability to see their business across the purchase funnel. We're able to track performance across a variety of metrics. The benefits have been game-changing! 5 years ago, our company saw data has a tool that was in the hands of a few people. Now, data, which give us INSIGHTS is embedded in everything we do across the entire organization. "Excellent. Makes BI Dashboards easy and give you room to develop BI into something bigger"
Very stable and easy platform to grow your MI dashboard business and insight. While you can get up and running quickly with simple dashboards we have found that the platform is capable of much more with live integrations and big data sets. The data is very easy to share. The Sisense team is really nice to deal with and positive and the support is excellent. I do feel they truly want us to succeed. They are also proactive with new developments to make sure the product is at the leading edge of integrations and capability. They have also been very supportive of us pushing the boundaries of what is possible with Sisense and helping us find great development partners. It really has transformed our company's understanding of our business. Bringing a large number of disparate data sets together, ranging from manual app based information gathering to per second live data in a single place, then analyzing that data to ensure our business is optimized. Creating automatic revenue and performance reports for stakeholders and automating other processes. this has reduced costs and increased performance and profits. "A finicky and slow way to view your data"
After enough help from our business intelligence team to properly get a dashboard set up the way I like it, I find that the most useful part of the software is the ability to download a set of data as a CSV file. I can then import that CSV into excel, make it into a pivot table, and manipulate all the data that way. It's much faster and easier than constantly trying to add / remove rows or values. Maybe it's just the way it was set up for me, but the tool barely provides any amount of info on the screen at one time. It lets me scroll down about an inch, and then lets me jump to another page of data. Instead of having 5000 pages, just giving more data per page would be a good fix. The software is also clunky. Everything takes a while to do when performing data analysis. I tend to often move around my categories when I'm performing analysis and Sisense just doesn't offer a great tool for us to do that. Just download everything as a CSV and play with it in excel - it'll save you a headache. Sisense was used as a business solution to allow everyone at our company to look at data without being competent at using MYSQL and performing complex queries. Our Business Intelligence team has created several tools and dashboards withing Sisense for our different teams needs. On the surface it is great at providing a high level overview of what's going on at the company. "Sisense has made gathering complicated data easier. " I like the Elasticube the best. Being able to bring our data into one location and then manipulate it is invaluable. Customer support is also high on our list of things that make Sisense truly unique. The price point is always a dislike. I think that can be said about any BI solution. More functionality through web portal for Elasticube design. Sisense is great for dashboards, but not so much for automated reports that need to be formatted like a spreadsheet. I would Highly recommend using Sisense based on my experience with them. Bringing data from our legacy CRM and merging it with data from our current CRM has been a huge benefit. connecting to several different software and analyzing all the data in one location that is faster and better then excel has been great. "Great Product for Business Insight and Intelligence - Great for Data Modelling"
Sisense is really easy to use. I have been using it since May 2018. At the end of the second month using this product, My first data model, as well as my first set of dashboards were in production. 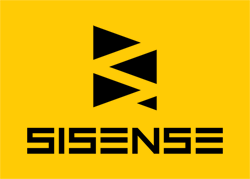 Sisense customer support provided instrumental support during the very early stages of the implementation of this product. Customer support has been amazing and supportive. Regardless your background, they will do their best to help you solve your problems. Pulse messages are not helpful at providing additional information about the issues occurring in our cubes. Certain connectors require more resources, which may impact the stability of the data cubes. Capabilities like sorting graphs need scripts, while other alternatives just requires clicking on the graph. Sisense has made some exceptional decisions in its underlying architecture. They have embraced an API first approach to the technology they offer. This is unusual for a BI platform, yet gives Sisense a competitive advantage when scaling out for the cloud. The underlying columnar data store (named after a French Impressionist painter) is applauded for its speed. Sprinkle in a web based dashboard authoring tool, white labeling support, a large collection of data connectors, and extensibility and you have a platform for success. Sisense is growing rapidly and there is dilution of knowledge internally. This means, that the more complex your implementation the thinner the support you will have. You would be better off engaging their professional services organization. This is changing quickly, but in our experience, not fast enough. Consider engaging profession services to large scale out high availability implementations. When are a FinTech company and using Sisense to serve internal analytics and provide reports and analytics to our customers via white labeling Sisense. "Robust and easy to use." The onboarding process was especially well put together. I found the concepts easy to grasp and the product was much more powerful and much more he user-friendly than other BI solutions that I have tried. Additionally, the availability of plug-ins as well as other customizable features make this product very adaptable to my needs. Haven't really found any serious issues. Dynamic, active feedback on current metrics. This allows our radiologists to monitor their productivity throughout the day as well as receive alerts for critical cases that are about to exceed our turnaround time commitments. We have been able to realign our schedule and shifts to better meet the actual demands of our client hospitals. "Great Product - Next Level"
"Implementation Was Great, And Support Continues To Be Great. We Enjoy Pushing The Limits"
The mobile experience isn't nearly as rich as we'd like. They've grown quite a bit there in the last year, but still needs more capabilities. Make sure to dedicate time and resources to the implementation stage. We learned so much during implementation and really improved our knowledge of the product. Don't slack here. "We needed a BI solution we could integrate, implement and embed quickly and easily. Sisense did it." The Elasticube manager makes creating datasets easy and fast. I built a large, complex dataset and was designing dashboards within 30 minutes.The ability to extend the capabilities using plugins is essential to getting good results. The user community is very active and knowledgeable. I find most of my questions are answered with a quick search. The ease of use of the designer is great, but it sometimes limits the capabilities I've had in other platforms. There's usually a way to get it done with a plugin or a clever work around. The Elasticube Manager is great too, but the ability to do transformations should be easier. Take advantage of the on-boarding process. The consultant assigned to us was very helpful in getting us up and running quickly and designing compelling dashboards. We needed a solution for our customer portal that supported a high level of data security, was easily embedded and could produce compelling dashboards. Our customers love it and we've been able to make it intuitive so most can pick it up right away. "Democratising your data: a BI tool that gives colleagues access and freedom to explore"
Easy to use and intuitive data interface: the Elasticube builder's graphical user interface makes for very easy setup from a data perspective. Intuitive dashboard creation process: with barely any tweaking, your dashboards and widgets look great. Finely tunable access control: with cube-level and row-level access restrictions, you can ensure that the right colleagues have access to the right information. Sundry things: the ease of replicating and downloading dashboards, the ease of downloading the data behind a widget (especially helpful for winning over colleagues from an Excel background), the intuitive nature of setting filters' impact to exactly what you want. Currently no Elasticube manager for Mac (I understand that this is changing in upcoming releases). SiSense is used to give users access to the company's data asset in a compliant way. The dashboards ability to show information from a very high level, down to row-level detail *AND* give selected users the ability to download the underlying data goes a long way in building user confidence in the product. "Sisense Provides Great Data Visualization Tools "
There are a few areas I'd like to see some improvement in for the Sisense platform. Personally I'd like to see some flexibility of join types within an Elasticube to something other than just "inner". I'd also like to see more granularity with the built-in map widgets. For the United States, the maps only go as far down as state level. I'd love to see county and zip code maps become an integrated widget. SIsense is currently a WYSIWYG implementation for designing and building dashboards. So if you're used to more of a studio environment where you design and then publish to the web, this will take some getting used to. The WYSIWYG development does have a few short comings in terms of customization. We currently use Sisense to track key performance indicators of state organizations related to probation and parole. These KPIs are now easily tracked across date ranges and states with ease. In addition to KPIs, Sisense allows us to get a high level view of the demographic breakdown of our data sets that wasn't easily possible before. Ease of use and seamless integration between data sources. The ease of use of the front end is another great benefit of this tool. There are built-in connectors for almost all mainstream data sources, including, redshift, big hive, facebook, google adwords, google analytics. The web-based dashboards can be accessed from anywhere and are very easy to create. The visualizations and widgets supported by the dashboards are above par as well. Mapping solutions on sisense are still relatively limited but I see Sisense making good progress on that front as well. Overall, it is a great full stack Business intelligence solution that would be very easy to adapt. It is an easy to use product that provides an excellent platform for integrated data analytics. Laying the framework of descriptive analytics. Real-time analysis of data. "Powerful BI with incredible ease of use"
Sisense offers incredible flexibility when accessing not only multiple data sources but multiple types of data sources. I have easily connected MySQL databases, Google Sheets, and Zendesk. Particularly, the ability to create a custom query when building the Elasticube as well as further SQL customization in the Elasticube schema affords me the opportunity to make sure I have exactly the right data for my dashboard designers. The dashboard creation is impressively featured, including the addition of plugins to implement additional functionality. The visualization is nice and most data presentations I need are included. Installation and upgrade are almost effortless and I have never run into implementation issues. I would the ability to include other types of joins other than INNER in the Elasticube but I have been made aware that that functionality is on Sisense's roadmap. This will make things much easier for my implementation. It would also be nice if it ran on a Linux platform (something else I hear is on the roadmap). I have worked with many other products including Birst, Jaspersoft, and Cognos and this is by far the best I have used. We are using it in many departments. We use it to track platform feature adoption over time to give us an idea of what areas are partners are using and what areas require more messaging and focus. We also use it for attrition data analysis to bring together multiple data sources to identify trends and key indicators. "Sisense: Great but not perfect"
"Very good product, excellent customer support." Sisense has been very easy to learn. Our Data and Analytics team started building dashboards and scorecards within 2-3 days. Great customer support. Can use data from many different sources and mash together. Fairly young company, so maybe not as many bells and whistles as some of the other tools, but they listen to their customers and are always making improvements. They have a great trial period for using their tool. I'd recommend trying it out with a few different data sources and seeing how you like it. For a user, being able to interact with the data was a big plus. Creating a truly global view of the company, in nearly all aspects of the business. Benefits include viewing our business as a global entity and then being able to drill-down into specific areas, business units, products, etc. all the way to a specific part for a specific customer. Executives can see everything that is happening and react accordingly. We've had nothing but positive feedback from our users using the Sisense tool. "Very Intuitive - End to End BI Tool"
Considering our Data sources Sisense is a great tool to combine data from multiple data sources including some REST API's. Development time for Dashboards is very Quick compared to other competitive tools. Speed and ease of combining data sources is great. It gives us almost near real time data for our field operations Analysis. Customer Service is great and is always willing to help in every way. Its a bit of challenge to figure out if there is any issue with Joins or Many to Many Relationship Issues by looking at dashboards. Plugins are an issue sometimes with newer versions and might need updates. We are currently utilizing Sisense to help with our day to day operations in field to track our Inventory and Equipment Alerts. We are in the beginning stages of Implementation and currently in Pilot. Having to use these reports helped the field to visually see what is happening without actually going and checking the equipment. "Fast, Easy Setup and a Gentle Learning Curve"
Everything about this product is easy. It took less than 60 minutes from the time I received the trial to the time I had a set of dashboards running--with almost no outside instruction. The ease of use is also clear every time we add a new user. Everything in the UI is where you expect it to be, very intuitive, so it cut out a lot of training time for us. I think the dashboard sharing can be a little confusing for end users and the dashboard folder management could use an overhaul. We were looking for an embedded analytics platform that was both easy to use and cost effective. "SiSense- Great BI Reporting tool"
I like the ease of various features given on SiSense in terms of visualizations, data marts. Also the approach to do any enhancement we want to have is very good. I appreciate the active SiSense community. Cheers to all SiSense customers and guys. I don't have anything specifically, At times we face random issues accessing dashboards over which we are already in conversation with SiSense team. We with digital marketing folks use dashboards numbers to measure our performance basis organic, purchased traffic and the probable reason of any loss. Dashboards helps product managers to conclude among different A/B tests and experiments. Also finance guys use to derive different sort of analysis. "Beautiful results from the whole package"
Once you are acclimated to the environment, spinning up data models and creating visualizations is very easy. You can make a professional-looking dashboard, or even a set of related dashboards, within a few hours. Visualizations are beautiful. Elasticubes are wonderful at bringing in a creating a relational data model out of disparate data sources. I often combine Excel docs, Access DBs and MySQL DBs into a singular data model and then quickly whip up a dashboard that combines all three. I also like that it's an all-in-one package, with the data modelling software, front-end editors, plus data security implementation and entitlement measures, etc. However, if you're just setting up a few simple visualizations for your sales database for internal use, this product would be fantastic and you'd probably not end up coding. We use Sisense as an OEM product, taking the data our company collects data and creating interactive, branded dashboards for our clients to browse. The wonderful thing about Sisense is it provided a one-stop-shop for everything we needed. As a full-stack BI tool, it has the backend data modelling software, data connectors, front-end visualization and dashboard editor, data security measures, automated email notification process, the ability to white-label the product...I could go on and on. But don't be fooled--you will likely end up coding. "Sisense is a End to End Analytics Tool"
It has integration with a lot of applications enabling us to import data from almost any source into Sisense and work with it easily. I also like their features in Visualisation like TABBER that enables us to create tabs and show graphs in dashboards so that dashboards don't look clunky with too much graphs and data to digest. I also love the feature of Custom SQL in the backend that allows us to create custom tables based on the existing tables in the cube. They also have cool feature that makes HISTOGRAMS much simpler to create without you having write codes to create bins. Sisense also lets you import huge data sets into and work much faster with it when compared to tools like Tableau. There is nothing that I really dislike but I feel not having options to create filters for separate widgets on the dashboard is very annoying at time because not very time we use data from same table on all visualisations inside a dashboard. If we can create filters separately for each widget in a dashboard, it will help knowledge users better in drill downs. If you are planning to get an end to end BI Tool for your company, please consider Sisense. They are really good. We use Sisense to enable Sales, Marketing and Customer Success team increase their throughput with live dashboards. We show KPIs for each of these teams in dashboards to make decision making real-time data driven. "BI Tool for today's market"
For now we are looking at trends and creating velocity and forecasts dashboards,. "Sisense Makes Data Warehouse Free BI Easy"
The Elasticube data prep layer makes it very easy to denormalize data from our operation data stores without the overhead of a legacy datawarehouse and ETL layer. There is not great support for source control, modern SDLC, and DevOps automation. It sounds like this is coming soon, and it's a small price to pay for all the other things Sisense takes care of for you (easy data prep, slick and interactive dashboards with a point-and-click editor, caching and acceleration of slow data sources, etc.). I would recommend Sisense to someone looking to implement a dashboarding tool for on top of a mix of traditional and cloud/web based data sources (RDMBS, Google AdWords, etc.). We are using Sisense both internally and externally to provide BI dashboards and reporting to our stakeholders and clients. Sisense has resulted in drastically increased transparency and access to data across our company and client base - everyone is now operating with the same set of facts. We were able to achieve this with minimal staffing on the project (we support hundreds of users with 1 full time analyst). Incredible customer support and a rich user community with lots of on-line resources. Not yet web-based multi-user eCube management (coming soon), not quite as rich of a dashboard visualization capability and fine-control as Tableau (but improving), some limitations on Excel file import format require pre-import formatting (improvements coming I hear). Good BI is difficult, make sure to select a BI platform with excellent customer and professional services -- you'll likely need it no matter what platform you select. Ability to pull and visualize business data and drill down into finding root causes for certain effects. This has allowed us to more quickly make better decisions, discover impacts of any business changes, and better understand/uncover drivers. As a direct result, we have improved manufacturing velocity and quality while also improving planning and inventory management. Sisense is intuitive, easy to develop in and use. Sisense helps our BI team save lots of time when creating beautiful dashboards that are appropriate for our audiences. Data source management is simple and easy to use yet allows for customization. Dashboards are fast, easy to navigate and very aesthetically pleasing. The Sisense team is constantly updating the tool with extremely useful features. Any issues that we've had, which have been small and not impactful, have been speedily addressed by the Sisense team. I have nothing to report as a "dislike". We are a federally qualified health center and our business needs range from clinical and patient data to support clinical activities facilitating patient experience and quality of care as well as supporting special programs and the revenue cycle. "A great experience with SiSense product and support"
I like the engagement of the on boarding team and the customer success team. The features and the plugins are fantastic and although it is our first months I feel confident that we would be able to fulfill our expectations. The plugins are an issue especially when a new version has been released. It could help if the plugins functionality would become part of the platform. I would recommend Sisense to others. It is best that one gets a proof of concept with the help of the Sisense Support team to get a good feel of whether it meets all your requirements. We have been able to get an insight of unemployment though the building of EOM snap-shots of unemployment where data is constantly changing along the months/years and we can now use in the historical data to get an overall insights along the years. Whenever someone asks "is that possible with Sisense"? The answer is almost certainly yes, we just have to figure out how to make it happen. We can pull in data from various sources and create links that tie them to together for the results we need to see. The capabilities are vast! Our team is working on more complex issues that cannot always be easily handled by the Sisense Support staff. Their professional engineers are very helpful when available, though! We are able to create solutions and dashboards and quickly answer questions that used to require our team endless amounts of time and energy. The time-saving benefits of the dashboards and data syncing are huge! "The flexibility of custom software with the power of scale." Sisense has allowed us to deploy complex business logic across our entire organizations. Its a self-refreshing custom data model that is visually displayed and available for exploration by the end user. Perhaps all BI solutions could receive the same accolades -- but Sisense supports the solution with the most knowledgeable and responsive customer support I've encountered, and layers the platform onto their own high powered data warehouse eliminating the need for expensive and cumbersome third party partners. On top of all that, its the hundreds of minor details of the platform - clearly focused on a balance of user experience and powerful tools - that set Sisense apart. With such complex visualizations and such a fast pace of feature development, small glitches do happen from time to time. Generally a browser refresh takes care of the problem, but a few persistent issues have occurred for us. Luckily the Sisense Support team is both knowledgable and honest - 9 times at of 10, we that we contact support we discover we were doing something wrong, and that 1 out of 10 that they suspect the software has an issue they admit it and follow up with a fix quickly. We're transforming the way we do business by analyzing and testing data models at a pace that was impossible before, and then we're giving the entire organization access not only to the results but to the underlying data to prove or disprove the results. It is democratization of data at its best. "Sisense BI - an early IT Analyst's Perspective/Review"
Sisense Business Intelligence was our company's go to choice for internal analytics as well as embedded analytics for customer access. The web based architecture is easy to edit/rebrand without much coding experience. The Elasticube is easy to import data from many sources and keep as a SSOT (single source of truth) for data schemas. Dashboard designers have the power to design advanced level formulas and calculations that can be over bearing. Data transformation is limited and this needs to be done in the DB level / cube level. 1. Customer visibility - Access high level dashboards and reports from live data. Greater insight into merchandise, inventory, shipping, etc. "Ease of use and implementation"
Ease of use for end users and for designers to develop, ease of implementation and managing the cloud data. However, formatting the dashboards can be a bit tricky sometimes. But there's good customer service to help you troubleshoot when you need. Formatting the dashboards can be a bit tricky sometimes. But there's good customer service to help you troubleshoot when you need. Currently visualizing all the data for specific departments to analyze sales and backlog as well as regional performances. The tool provides ease of access for the sales data as well as the ability to drill down to answer specific problems. "Great tool for analysing the main insights about client's competence"
Regarding the dashboard, I really appreciate the easy way to create different kinds of graphics depending on the information that we want to share. Also, the option to duplicate a file or a single widget makes the work easier and faster. It’s a great point that we can organise the dashboard with as many files as we want to. I would like to see more variety of designs in the dashboard in relation to the titles and their typography. It's not practic that every excel document needs to have the same structure for working properly. We can analyse the global business environment of the client in an easy and clear way, and it's a good way to detect the key insights of the client and the competitive sector. "Sisense is truly the next generation of BI tools"
Sisense has given us the ability to grow and scale our business 10x without the need for additional license add-ons or costs. We have successfully merged 17 different data sources into a single source of truth that provides unparalleled insights into our business. It's allow us to snapshot critical data that shows us the life cycle of a customer and make intelligent predictions that drive change to our business model. Our BI Portal gives direct access and visibility into real-time performance metrics for coaching and performance improvement. Lots of BI vendors can promise you the world, instead of listening to a talk-track, download the Sisense client and connect your data sources and see your yourself. There is a lot to be said about a tool that will do everything you need even during the demo stages. •Create a centralized data warehouse and portal for all levels of the company. Sisense is more streamlined than other tools we performed proof of concepts on. The core customer support and trainers have been very friendly and supportive. Sometimes support is unclear in their instructions and expects a more advanced knowledge of how to integrate their product into our system when we have never integrated a BI tool before. We have multiple data sources and sets that need managed and combined for reporting. Sisense has helped with quick and accurate reporting. Another benefit is that Sisense has helped us find which data sets are accurate and which need to be fixed. We are in the middle of transitioning from Xcelsius and Tableau dashboarding platforms to Sisense. The Sisense employees are always very responsive and knowledgeable about the product and how to help us through the implementation. We plan to complete the implementation by the end of the year. I will do a more detailed review in a few months! Formatting for a table in our dashboard took a lot more time than expected. It's not as easy as formatting a table in Excel! It required knowledge of java script and took our Sisense trainer a while to complete. We will have to replicate this process for future tables in our dashboards. We will be using Sisense to share our performance with our customers as well as for them to do what if analysis. "An powerful, flexible BI tool using innovative ideas and technology "
The flexible front end design that let's us completely change the layout for our needs and change the CSS. Sisense are definitely innovators in the BI space, they are continually bringing out new ways to help display insights clearly to different types of audiences. This combined with their excellent customer support has helped us build many dashboards and win further projects with new clients. "Using Sisense to Understand the Employee Experience"
I love being able to layer different types of data together. On top of that, being able to drill down by different areas of the company really help us to see the full picture and tell a great story to a leadership team. My background is not in big data, SQL etc, so there has been a learning curve to overcome, but I'm glad that I can attend events such as Sisense Masters Training Day to work on my skills. Work on open-ended text analysis. I'd love to see a word cloud that has filtering and correlation capabilities. Understanding the employee experience within an organization. "Mac Shop + In the Cloud = Daily Headaches"
Logging in through RDP, Performance, embedding with safari, having the back end separate from the web app, having to build a EC every time a change is made, not having insight to what dashboards belong to who, not having insight to dashboards but the ones you create. Do a POC before signing on. Test all the limits of the product that you can. Don't focus on one project think of future projects that you are considering. We spent all of our implementation on one report and building it out only to find that Sisense did not work when embedded in Safari plus other headaches along the way. We pivoted to something different and performance took a huge hit. "Powerful tool for BI integration"
Standard BI dashboarding features. Standouts for us are the API connectivity and data modeling options. The extensibility of the platform gives us some options and there is an existing community that offers some additional functionality without needing to DIY. UI requires technical work to be truly presentable. There are a few snags and gotchas, the technology is clearly still under development, which is a minus from a polish level, but does give us more opportunities for feedback. Make sure you set goals for your onboarding process that will ensure you get the support you need. Don't be afraid to use the addons offered, particularly by sisense itself, but from the community as well. SiSense allows the complex data housed in our application to become more accessible to a wider audience and easier to parse at a glance for existing users. We have yet to go live with the integration, but there is already significant excitement among our client base to start using the dashboards. Their training courses are solid. I have beginner level experience in SQL and databases yet, I am able to create elasticubes and dashboards because of the provided training. The ability to pull in Google Sheets and Excel documents into the elasticubes has also proven very valuable for creating SEO dashboards. There is room for improvement on their REST connector. Their support team tried to help but, there were limitations preventing Sisense from connecting a popular rank tracking tool. They did mention addressing it in a future release. Looking forward to that change. We use Sisense internally to visualize our ERP and SEO data. "Sisense - the "easy" button for embedded analytics"
As the title might suggest, Sisense does all the heavy lifting when it comes to embedding analytics. Whether you want to embed dashboards as a whole or create dashboards on the fly, with Sisense you focus on solving business, not technical problems. There isn't much to dislike but if I had to pick on one area it would be documentation, specifically in regards to dataset/dashboard promotion. With Sisense we hope to provide our customers with the tools they can use to answer their own questions. * We monitor all Sisense reviews to prevent fraudulent reviews and keep review quality high. We do not post reviews by company employees or direct competitors. Validated reviews require the user to submit a screenshot of the product containing their user ID, in order to verify a user is an actual user of the product. Hi there! Are you looking to implement a solution like Sisense?